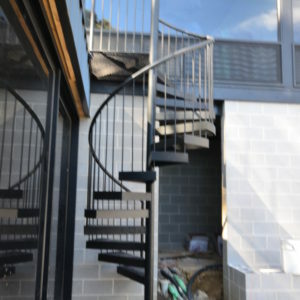 External spiral staircase. Galvanized and powdercoated. 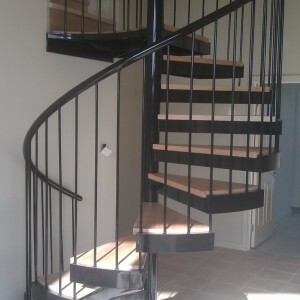 Steel spiral staircase. 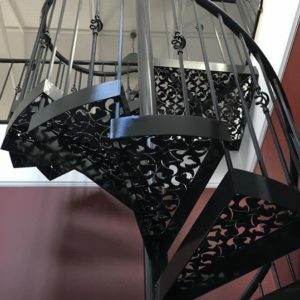 Internal application with a black powdercoat finish. 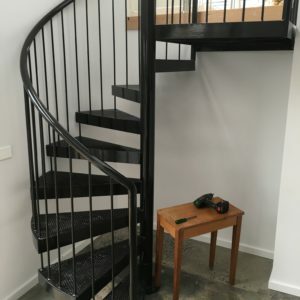 Steel spiral staircase. Internal application with a black powdercoat and Vic Ash treads and landing. 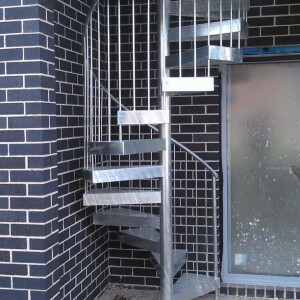 Steel spiral staircase with mesh treads, continuous handrail and landing. Fabricated as one piece and hot-dipped galvanised. 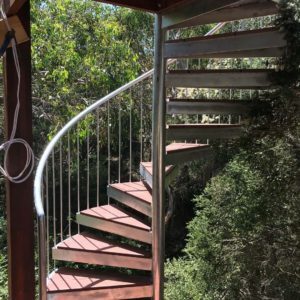 A better view of the balustrade and curved treads.